One of the biggest education decisions I had to make as a high school student was deciding where I would go to college. Growing up, I was fortunate to have been surrounded by people who understood the importance of education. My father was a high school principal and my mom was an elementary school teacher, which meant that it was a foregone conclusion that I would attend college. I went to a small high school in the northern suburbs of New York, and I was convinced that I needed to attend a small college. But my first-choice small liberal arts college rejected my application, and I had to consider other options. My father encouraged me to apply to Cornell University – a much bigger school, but one that I visited and loved, and it turned out to be a great choice for me. Even though it wasn’t where I thought I would end up, going to a much larger school increased my confidence and self-awareness. I met incredible people, including the person with whom I co-created Naviance. The point is, you never really know what’s going to happen with the choices you make until you explore all your options, decide what really matters to you, and be a conscious participant in your education decisions. That’s why I’m honored to join the National College Access Network (NCAN) Board of Directors. 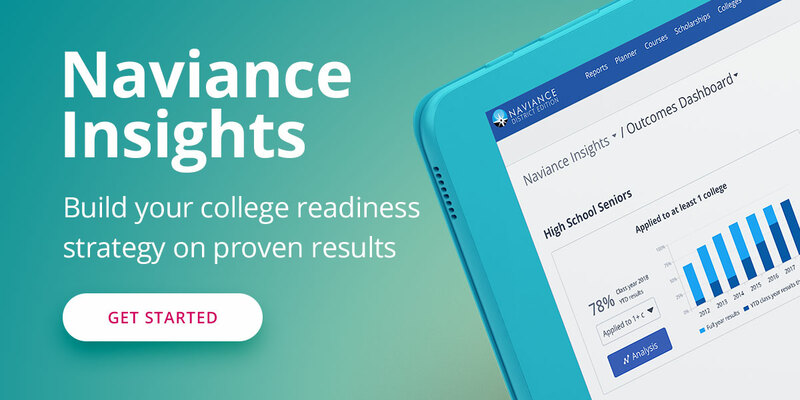 NCAN mobilizes and supports hundreds of organizations to experiment and follow through on proven strategies that help students, particularly first-generation students, to first understand that college is an option for them, then to navigate the often-tricky waters of getting there. At Hobsons, we are passionate about helping students to take ownership of their education and to make better education decisions. Our solutions help school counselors to encourage students to identify and align their strengths and interests with their post-secondary goals so they can make informed decisions about their futures that reflect their own passions, not someone else’s. I look forward to joining NCAN’s board and working on our shared mission of supporting the college access and success field so that more students can find their passions, create and carry out their education plans, embark on successful careers, and achieve their dreams.